Former Vice-President Atiku Abubakar has condemned peddlers of a trending hate song denigrating Igbos, warning that the country risks relapsing into genocidal war, akin to what occurred in Rwanda in 1994. The former vice-president’s warning coincided with the failure of a 10-man committee of a coalition of Northern youths and Igbo leaders, over the expulsion notice given by some Northern youths to Igbos to leave the North by October 1, 2017, to reach an agreement Monday. The committee had been set up to find a common ground between the feuding groups and make peace. But while it set about its task, hate speeches persisted with a song in Hausa targeted at instigating resentment of Igbos circulating in the Northern part of the country. Atiku intervened against this trend Monday, asking security agencies to swing into action immediately and thoroughly investigate, apprehend and severely punish those behind the hate song. “It has come to my attention that a song disparaging people of Igbo origin, and which wishes them dead, is circulating in some parts of the nation. I totally and unequivocally condemn this development, and I call on all men of goodwill to rise up against this evil,” he said in a statement. According to him, “This song is reminiscent of the beginning of the Rwanda genocide. Nigerians need to be aware that the Rwanda genocide was believed to have been ignited by a song titled ‘Nanga Abahutu (I hate Hutus)’ sung by Rwanda’s then most popular musician, Simon Bikindi. God forbid that we should have such a déjà vu in Nigeria. 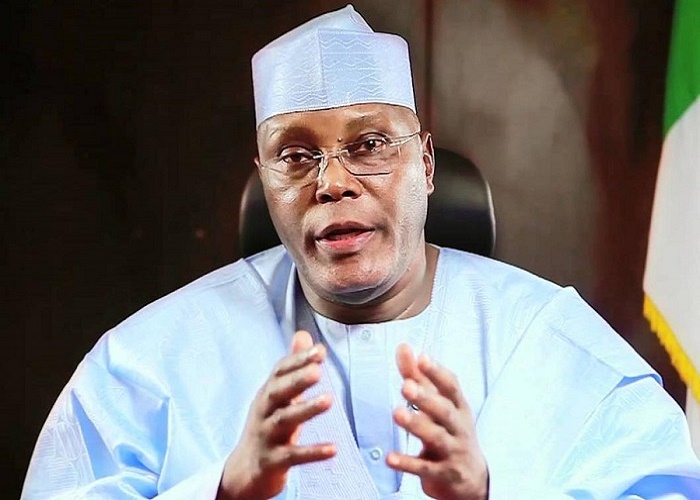 Atiku said the effects of hate in any shape or form were made even more evident over the weekend in a shooting incident that left many Nigerians reeling with shock; and commiserated with the people of Ozubulu in Anambra State, who lost family members in the fatal shooting that also left scores dead and many others injured. “I pray that peace will return to their minds and their community soon, even as the police work hard to get to the bottom of the matter. May God comfort them as no man can,” he said. But a meeting held in Kano Monday between representatives of Northern youths and Igbo leaders over the former’s expulsion order notice to the latter ended in a stalemate, warranting an extension of discussions by 10 days for wider consultations. The committee, in a statement made available to THISDAY in Kano, said there was the need for more time to enable it to do a thorough job. The statement signed by Chief Chi Nwogu (representative of Igbo leaders), Alhaji Dauda Shamakiri (representative of the Coalition of Northern Groups) and Mr. Isa Tijani (convener of the peace parley), said: “The Committee sat and deliberated extensively and agreed that there is the need for further consultations from both sides. Meanwhile, the Coalition of Northern Groups has accused the leader of the Indigenous People of Biafra (IPOB), Mr. Nnamdi Kanu, of sowing the seed of discord in the corporate existence of Nigeria as a country. It said in a statement Monday: “His (Nnamdi Kanu) recent action of forcefully grounding movement of people, including those from other regions by shutting down most South-east cities, notwithstanding the mild and ineffective condemnation by some Igbo political, cultural and religious leaders, has foreclosed the avenues for an expected early peaceful resolution. “It is a further justification of our concern expressed in the Kaduna Declaration and subsequent correspondence with the Acting President of the Federal Republic of Nigeria and the International Community. “These renewed threats contained in Kanu’s unwarranted utterances and actions compel us to push further for definite national and international action that would decide the Biafran matter to a conclusion once and for all. “In our usual truly patriotic aim to forestall the drift towards anarchy in Nigeria, and also to alert the international community as to where responsibility would ultimately lie if such momentous events ever came to pass, we have followed up our earlier efforts by another round of initiatives of extending similar communications to relevant authorities.